In the UK, CVs should be a maximum of two sides of A4 for non-academic CVs. Academic CVs tend to be longer (up to five pages) and include more much more information. This is normally related to your education, degree and PhD, research interests, teaching experience (if relevant to the role) and publication record. It is convention in the UK not include a photo. CVs should be submitted in a Word document, as many companies now use candidate management systems and this makes it easier for them to enter your information onto them. There are many different ways of formatting and ordering a CV. It’s a document that’s personal to you – so do what you feel is right. The key thing is to make it quick and easy for the reader to find your most relevant skills and experience. 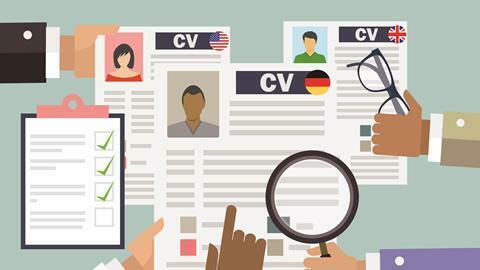 For non-academic CVs, any work history should always come first (the only exception is for graduates with no work experience at all, including volunteering or paid jobs). A good order might be: work history; education; training; other information. When detailing your work history, you don’t have to list every technical skill you have. Read the job description and make sure you just include the ones the employer asks for, explaining how you’ve used it and the impact you have made. How much information should I include? If you have a degree or a PhD then you don’t need to list your GCSE results in detail. Most employers will only be interested in your most recent qualification, or the one most relevant to the role: either way, they’ll ask for what they need. Hobbies and interests can be included at the end if there is room, or if you can use them to show the reader skills you can’t demonstrate in from your work history. (for example financial skills or managing a project). Chemists later in their careers, with a lot of experience, should consider using a skills-based CV. This can be a very effective way of highlighting your skills and experience that are most relevant to the role. A CV isn’t your life story. 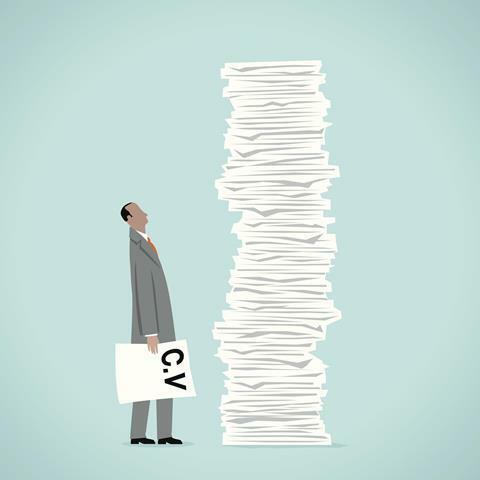 Put yourself in the employer’s place when you read the CV and asking yourself ‘So what?’ Do you need the skills you have listed for the role you’re seeking? If the answer’s no, then don’t include them. You should tailor your submission to the skills required and language that the employer uses. Every word should count. Don’t just list your skills and experience; show how you’ve used them to make an impact in the role.